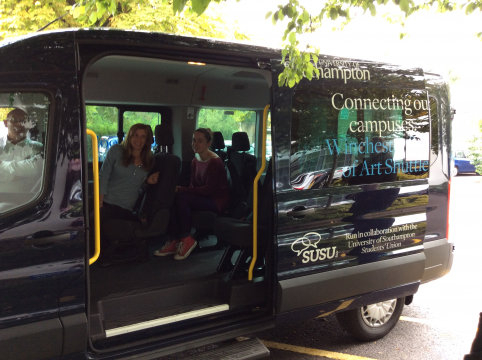 All five of our new buses are 15 seaters and are blue in colour to match the WSA Shuttle Bus. They are all equipped with Bluetooth, Air Con, roof racks and a disabled ramp with full wheelchair clamping facilities. In response to new UK legislation, the buses are also fitted with new ‘AdBlue’ technology which reduces the level of nitric oxide (NOx) emissions produced by diesel fuels. One of the buses even has a ‘tachograph’ which means it can be used on the continent! All of our Safety Buses are student driven. To drive these buses, you must be over 21 and have held a clean licence for at least three years. If you’re interested in joining our team of drivers, keep an eye out for opportunities on our website. We look forward to welcoming these new additions to our fleet and hope you will enjoy many comfortable journeys home in them!